When Microsoft debuted the gaming console Xbox 360 in 2008, it introduced rare-created Avatars, a personification to represent the gamers user accounts, for which you could even buy new outfits to for MS points. 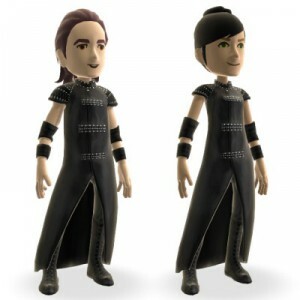 The avatars didn’t seem to be such a big hit for Microsoft as they were no longer featured in the new generation console, Xbox One, when it was released in 2013. However, Microsoft has now hinted that this may be about to change. It may seem hard to picture an Avatar in the Xbox One’s Windows 8 box-styled tile theme. In the older generation console, the Avatar would greet you when logging in. With the lauch of the Windows 10, an update to the On’e dashboard may not be far behind. Microsoft’s Avatars were more popular than Nintendo’s Miis. Nintendo still continues to feature its Miis in the Wii and the Wii U. They are inserted regularly in games like Smash Bros and Mario Kart regularly. Avatars coming back shows that it was a popular trend which isn’t about to fade away soon. Users had complained that to unlock certain clothing items one had to spend Microsoft points, which should be free. Microsoft has not commented on the job postings, nor made clear on a timetable of when to expect the Avatars. Some serious changes in the Xbox One User Interface is quite likely between the launch of Windows 10, Cortona and maybe now Avatars.